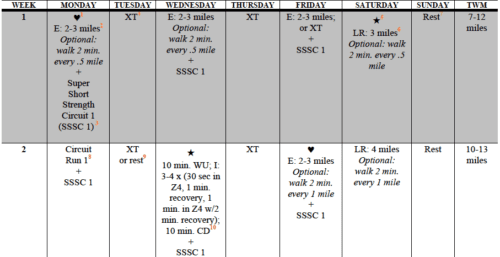 This 18-week marathon plan is designed for injury-free runners who have run at least one marathon in the last three years and are looking to nail a brand-new PR. This plan isn’t for the faint at heart; some days, you will definitely need to dig deep and shovel in some badass #motherrunner grit to get it done, but when you do, you will be rewarded on race day with legs that are crazy strong and able to tackle the distance with a vigor that surprises you. Optional Celebratory Merchandise. We’ve got a brand new Like a Mother tech long sleeve and a range of custom shoe tags—we’re calling them the new finishing medal—including don’t think/just go; #BAMR; and Stay Strong.